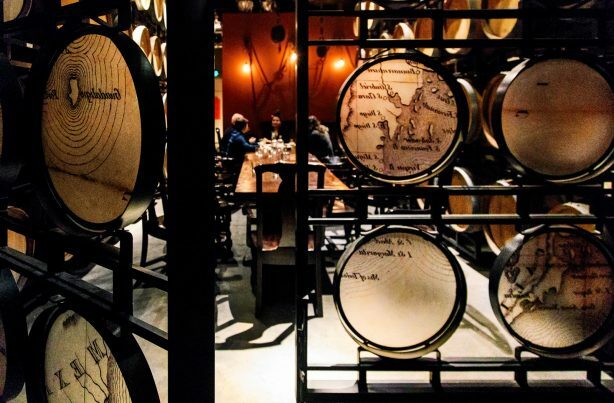 The moniker “Capital of Craft” extends far past beer to an array of spirits, including whisky, gin, vodka, rum, agave spirits, and more, brewed right here in San Diego. Whether you prefer traditional tipple, dark or clear, or fancy an experimental liquor brewed with pomegranate or pumpkin, there’s a place for you. Have a tour—and a taste—of the local scene at any of these distilleries. Opened in 2017, You & Yours produces all of their small-batch canned and bottled vodka and gin in San Diego’s East Village. Tours ($15) provide a peak at the company’s custom build hybrid still, and of course samples of the goods, including the very Juniper-y Winter Gin, the floral and vanilla-note rich Y&Y Vodka, and the citrusy Sunday Gin. Named for a rum-running schooner that supplied Southern California during Prohibition, Malahat distills rum and whiskey on its twin copper pot stills. Touring the Prohibition-style distillery includes tastes of six artisanal spirits—but that’s not all. The three friends who started this distillery are always experimenting. So expect seasonal samples or other things not found on store shelves. The people who brought you Ballast Point Brewing thought they might try their hand at spirits, too. It shouldn’t surprise you, then, that they spawned a behemoth of the local distillery scene: a 50,000-square-foot distillery, tasting room, and restaurant combo. The craftspeople there create vodka, tequila, gin, rum, and liqueur that you can enjoy at their eatery, also an acclaimed institution now. Tours depart every hour from 1:00 to 8:00 PM. This employee-owned business launched by two brothers exists to experiment beyond the grapes, apples, potatoes, and starchy grains that make up the vast majority of their fermented and distilled alcoholic drinks. As such, this operation—a kombuchery, cidery, meadery, and distillery—makes suds from pineapples, pomegranates, cranberries, mangos, pumpkins, and blends thereof. Their Hillcrest digs are open Friday through Sunday, and appetizers, and other bites are available to supplement the brews. During the Irish Potato Famine of 1849, Matthew Henebery fled Ireland for a new life in Canada, and eventually Illinois, where he launched a distillery and liquor wholesale business. Now, 100 years after his death, his ancestors carry on his legacy by distilling 90 proof rye whiskey using organic ingredients. Tour their distillery and taste a creative menu of cocktails based around their house-brewed broth. Distilled in quantities of 30 gallons or less, Seven Caves’ rum, gin, and whiskey, are “ludicrously” small batch. Their rum is made with sugarcane from Louisiana. The gin is infused with locally-grown herbs. Their agave spirit is made with agave syrup from Jalisco. Taste them all—by appointment only—at their intimate distillery. San Diego’s first licensed distillery to open after Prohibition, in 2011, Kill Devil boasts a line of spirits you’d be hard pressed to find elsewhere: Unfiltered vodka, California moonshine, caffeinated moonshine (made with local Dark Horse coffee). Add to that ingredients like local grapefruit, house-grown herbs, and alkaline water, and you’ve got some tasting to do. Customizable tours are available, whether you prefer a straightforward visit or a chauffeured, luxe experience complete with live music. This entry was posted in Cocktails & Spirits by San Diego Magazine. Bookmark the permalink.